Kardashian West shared a few clips of her firstborn, including one of North hauling the mic stand down the aisle and grabbing the mic again. “Omg she’s trying to get front & center,” Kardashian West said in one caption (which included the go-to laugh-cry emoji, naturally). North is a frequent attendee (and, apparently, scheduled performer) at her dad’s huge Sunday services. 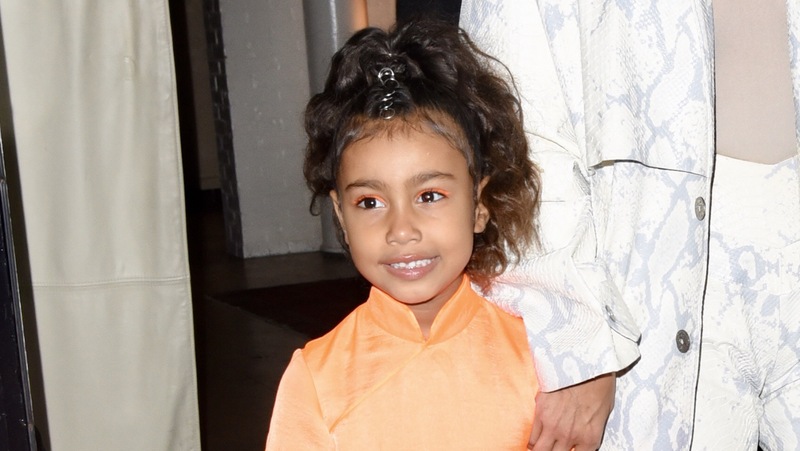 Her parents (read: her mother, of course) were recently shamed because North wore some seriously Goth-powered black lipstick to the kinda-church event. If you’re puzzling over this “weekly church service,” hey, we kinda are too. This is the new Sunday routine for the Kardashian West posse; it’s a weekly event that Kanye started hosting in January of this year. Kim Kardashian West told Elle that Kanye’s service is less about religion and more about healing. Kardashian West did not elaborate on what details, exactly, make the weekly star-studded event “Christian.” (And we mean seriously star-studded. Katy Perry, Orlando Bloom, Kid Cudi, Courtney Love, and of course a bunch of Kardash-Jenners have been in attendance, according to Elle.) But all the matching robes are a little, um, can we say it? Cult-y? Okay, fine, sometimes a Kanye service is just a Kanye service. Who are we to say otherwise? And hey, Kanye is now planning to lead an Easter Sunday service (!) at Coachella (!!!) on April 21, the festival’s second weekend. Will North be there? And will someone turn her mic on, pretty please?